The Hydra middleware allows developers to incorporate heterogeneous physical devices into their applications by offering easy-to-use web service interfaces for controlling any type of physical device irrespective of its network technology such as Bluetooth, RF, ZigBee, RFID, WiFi, etc. Hydra incorporates means for Device and Service Discovery, Semantic Model Driven Architecture, P2P communication, and Diagnostics. Hydra enabled devices and services can be secure and trustworthy through distributed security and social trust components of the middleware. 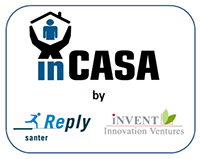 The Hydra middleware is one of the technology building blocks of the inCASA platform. The main objective of the project is the development and integration of innovative technologies to build a care system for the detection of abnormal events (such as falls) or unexpected behaviours that may be related to a health problem in elderly people. Nowadays, most of the care systems in the market are limited to detect falls. The innovation of the system developed in the CONFIDENCE project is that it will not only detect falls, but also identify short and long term unexpected behaviours that could indicate health problems. The system will contain 1) a patient loop interacting directly with the patient to support the daily treatment. It will show the health development, including treatment adherence and effectiveness. Being motivated, compliance will increase, and health will improve. 2) a professional loop involving medical professionals, e.g. alerting to revisit the care plan. The patient loop is connected with hospital information systems, to ensure optimal and personalised care. OLDES is a EU co-funded project that intends to offer new technological solutions to improve the quality of life of older people, through the development of a very low cost and easy to use entertainment and health care platform, designed to ease the life of the elderly in their homes. CommonWell aims to support high quality independent living and wellbeing for older people across Europe by integrating ICT-based services across provider organisations on open platforms. 10 partners are cooperating in the EU funded project to deliver ICT-enabled health and social care services in four Member States. The integrated services are to support the effective management of chronic disease, and to address issues which affect independence, such as reduced agility, vision or hearing, in order to significantly improve the quality of life for older people and their families. RENEWING HEALTH, REgioNs of Europe WorkINg toGether for HEALTH, is an european project, partialy funded under the ICT Policy Support Programme. It aims at implementing large-scale real-life test beds for the validation and subsequent evaluation of innovative telemedicine services using a patient-centred approach and a common rigorous assessment methodology. It involve a Consortium of 9 of the most advanced regions in the implementation of health-related ICT services, belonging to 9 different Member States or Associated Countries. Assists older people in maintaining independent mobility and daily life activities and prevent injuries by introducing smart body fixed sensor-based technology. The Clinical Leading Environment for the Assessment of Rehabilitation protocols in home care (CLEAR) project is funded under the ICT Policy Support Program – Area CIP-ITC-PSP-2007.2.2 – ICT for ageing well. The Project proposes the implementation of a Telerehabilitation service in four Member States of the European Union (IT, ES, NL, PL). The ambition is to convert the project, after its completion, to a European platform for Telerehabilitation, and to contribute to the harmonization of e-health services in the EU. HOME SWEET HOME project brings together a set of services which, packaged together, allow extending the independent life of elderly people. HOME SWEET HOME (HSH) will trial a new, economically sustainable home assistance service which extends elders independent living. HSH intends to achieve this by providing a comprehensive set of services which support elders in their daily activities and allows carers to remotely assess their ability to stay independent. ElDeRly-friEndly Alarm handling and MonitorING (DREAMING) project brings together a set of services which, packaged together, allow extending the independent life of elderly people while providing them with an equivalent level of safety as that they would enjoy in a protected environment such as an elderly home, and offering them a way of staying in touch with their loved ones even when the latter are away. In addition, the DREAMING services facilitate the management of chronic conditions in a home setting reducing the need to use the expenses resources of acute hospitals to a bare minimum. The Whole System Demonstrator (WSD) programme is a two year research project funded by the UK Department of Health to find out how technology can help people manage their own health while maintaining their independence. The SOPRANO project aims to develop affordable, smart ICT-based assisted living services with interfaces which are easy to use for older people and familiar in their home environment.